Two short passages on the topic family chores, followed by four tasks. 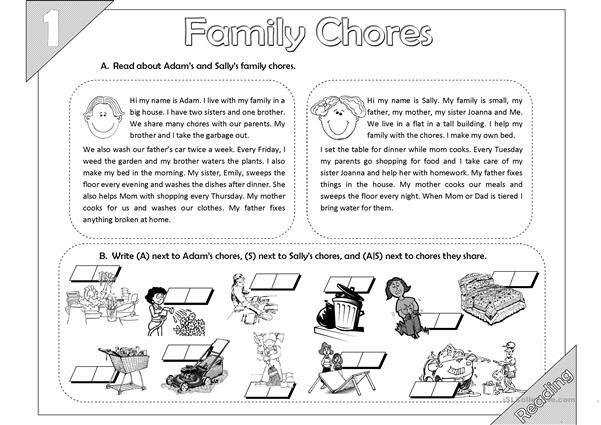 Task one requires students to understand the studied chores vocabulary and recognize their respective pictures. Task two is a true and false exercise. 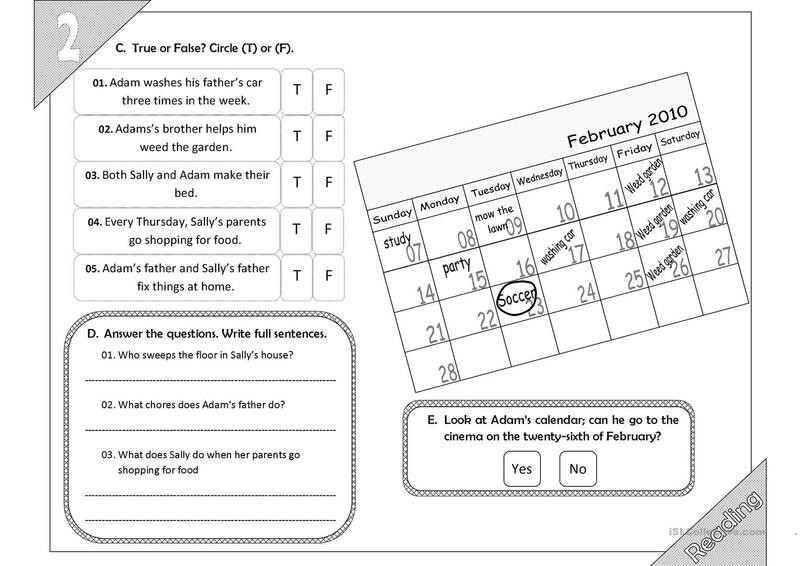 Tasks three is answering questions with full sentences. 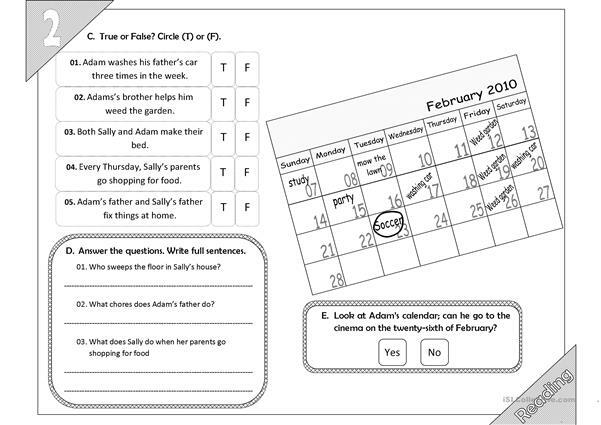 The last task requires students to read a calendar and then answer a Yes/No question on whether Adam can go to a certain event or not. The present printable, downloadable handout is recommended for elementary school students at Elementary (A1) level. It is useful for developing your pupils' Reading and Writing skills. 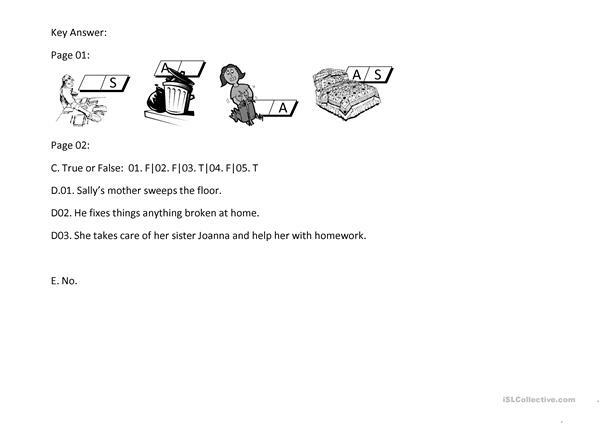 It is about the vocabulary topic of Family. You will find the answers at the end of the worksheet.